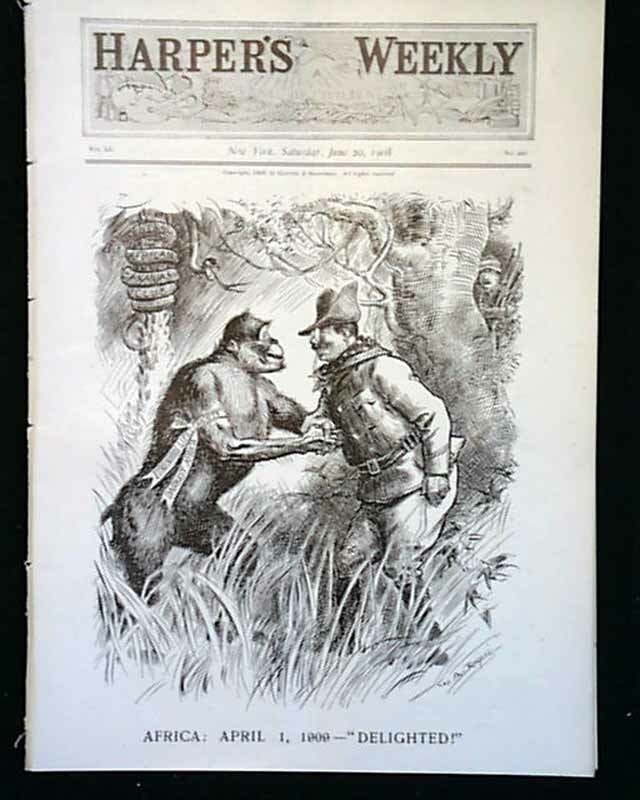 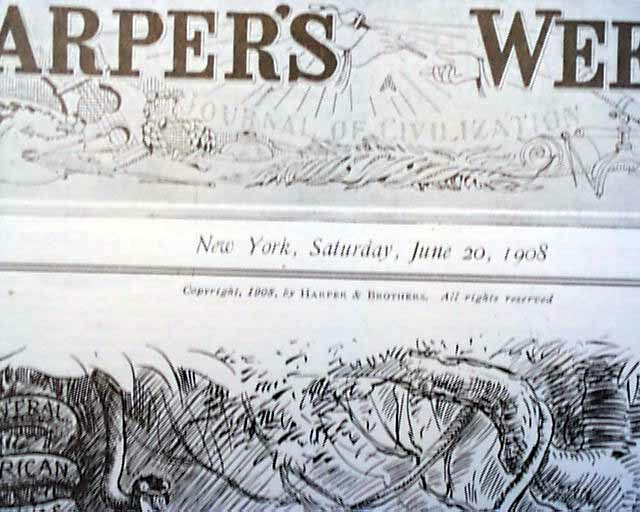 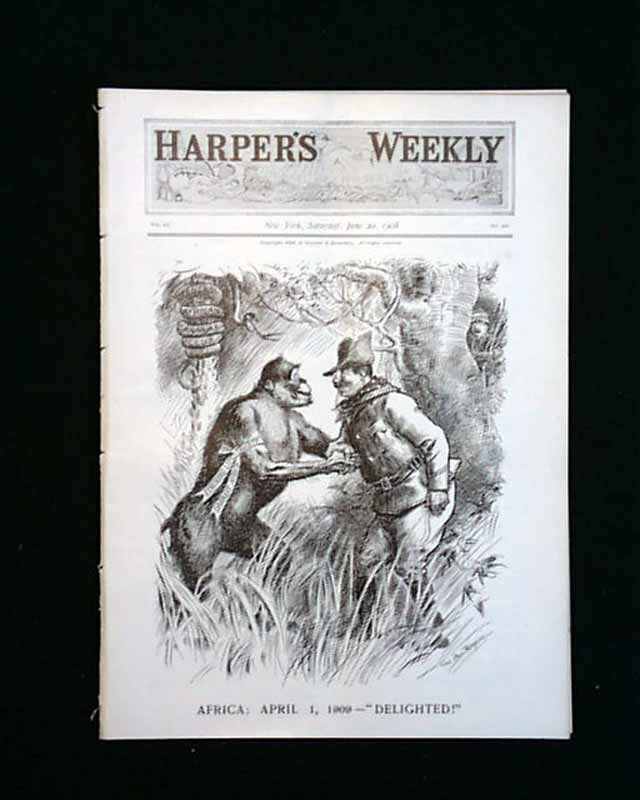 HARPER'S WEEKLY, New York, June 20, 1908 The front page of this issue reads: "Africa: April 1 1909 - 'Delighted'". 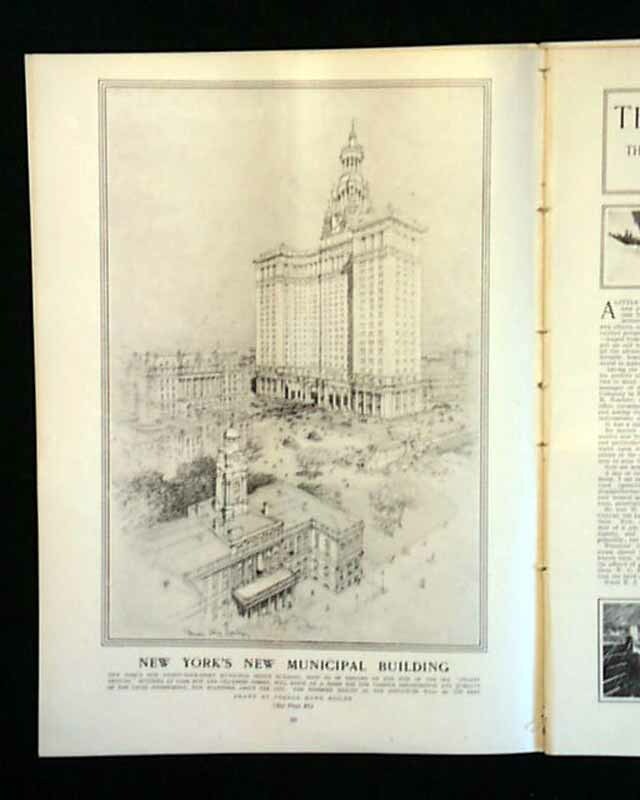 Additional inside photos regard the 125th anniversary of Dickinson's College in Carlisle Pennsylvania, as well as plans for the new NY City Municipal Building. 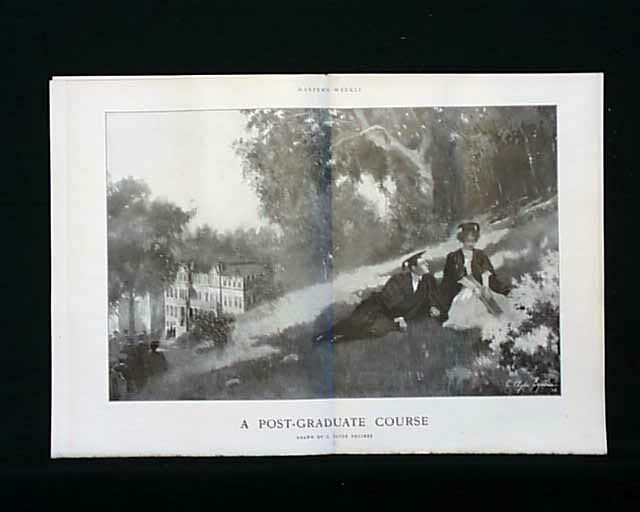 A double page center fold is titled: "A Post-Graduate Course" (see photos). 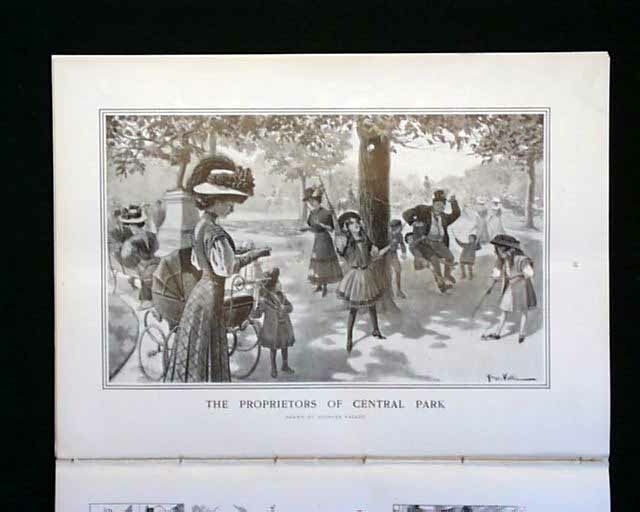 Other advertisements of the day are included as well, helping to portray life at the turn of the century.